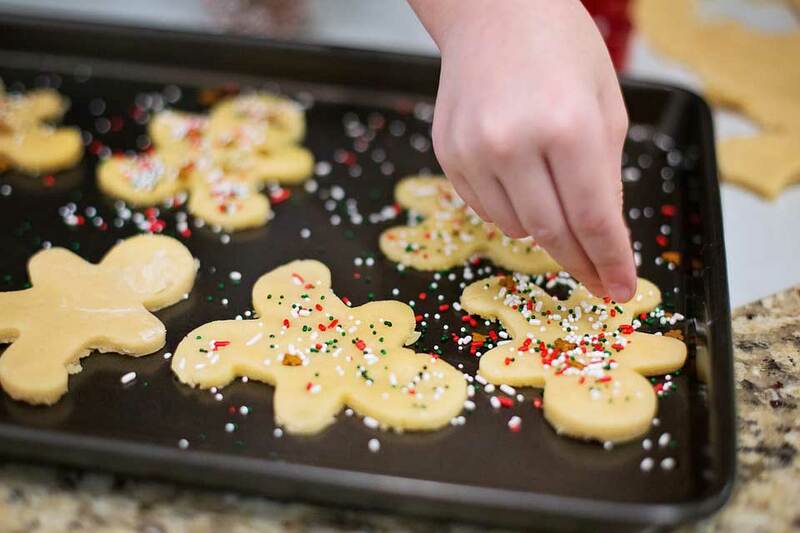 Cooking and baking is really fun for kids and their parents! Baking with cake mixes and pastries is especially fun for you and very rewarding for your kids. They are guaranteed to enjoy helping you create delicious things to eat, and learning the art of cooking at the same time. Introducing a child to the fun and magical process of cooking is an experience they will never forget. Start with an easy biscuit/cookie mixture so the children can easily become involved in making and baking them. Young children can get involved in weighing out ingredients such as flour and sugar. They can help break eggs, add dried fruit and then mix up the ingredients. Of course, you will be on hand to step in to ensure the process is done thoroughly. We do not recommend you leave them to their own devices during any of these processes. Care is required at the outset, and we do not recommend you allow them to use sharp implements, use a hot oven/hob, or food mixers. If you’re baking biscuits/cookies cover the preparation surface with waterproof paper. Get biscuit/cookie cutters out in advance. In fact it is useful to have everything ready in advance, so you can concentrate on your child’s progress during the preparation process. Get all of your ingredients, such as sugar, flour, eggs, dishes, trays, bowls, spoons and forks, sponges and of course a water bowl and cloths to wipe up any spills, close to hand before mixing commences. Children love to get involved with every aspect of cooking! Let them switch on appliances, peel vegetables, and where safe, chop vegetables or fruit. They’ll enjoy watching the mixer blend pastry or sponge mixes, so let them turn the mixer on and off (whilst keeping hands away from any moving parts on your appliances). Show them how cake mixes grow in size with added air as they spin round in the mixer. It’s a good idea to make extra cakes, biscuits/cookies or pastry tarts and encourage the children to get involved in the decoration process themselves and use their own artistic creation ideas, or simply copy you! Even let them carefully use the biscuit/cookie cutters to cut out the shapes or create their own tartlets with a blunt knife, without worrying too much about how they turn look when baked. You may prefer to decorate your biscuits/cookies or pastries before you put them in the oven to bake them. They can make all manner of patterns and even little animals, fish and teddy bears on their creation. Use food colouring varieties for this purpose. This approach gets all the messy spills, and coloured food grade paints out of the way before baking, so the biscuits/cookies, cupcakes and tartlets are ready to eat (once cooled) when they come out of the oven. f) The Icing on the cake! Just a little bit of icing on your cupcakes and buns turns them into something extra tasty! What could be more fun than colouring up the icing mix and then drizzling the icing onto your children’s creations! Let the kids choose their favourite food colours to mix up a topping, and then sprinkle with hundreds and thousands or silvery sparklers to finish of the effect. They won’t be around long, so grab one to eat whilst you can! g) Even toddlers can join in! Even very small children can get involved in the fun and excitement happening in the kitchen! They can be installed close by in their high chair when you are preparing and baking. They can roll out pastry and then paint their own biscuits/cookies once you have cut them on your own work surface. They can even add sprinkle-out decorations to the creations. They will have great fun and repeatedly ask when they can join in the next baking session!